At PALTEK’s AI EXPO booth, HACARUS presents person tracking running on edge devices – Hacarus Inc.
From April 3-5, 2019, Hacarus Inc. (Headquarters: Kyoto-shi, Nakagyo-ku, CEO: Kenshin Fujiwara) will be exhibiting its booth during Tokyo Big Sight’s 3rd Artificial Intelligence EXPO and partnering with PALTEK (Headquarters: Yokohama-shi, Kohoku-ku, CEO: Naohide Yabuki, Security Code: 7587) and holding its demo exhibition booth. From January 2019, Hacarus and PALTEK co-developed and began offering services of HACARUS-X Edge, an AI solution for FPGA that makes edge learning possible. HACARUS-X excels in extracting small data through Sparse Modeling technology and putting machine learning to practice use as an AI solution without connecting to a cloud service and operates offline. Implementing edge learning and inferences are both characteristics of HACARUS-X. 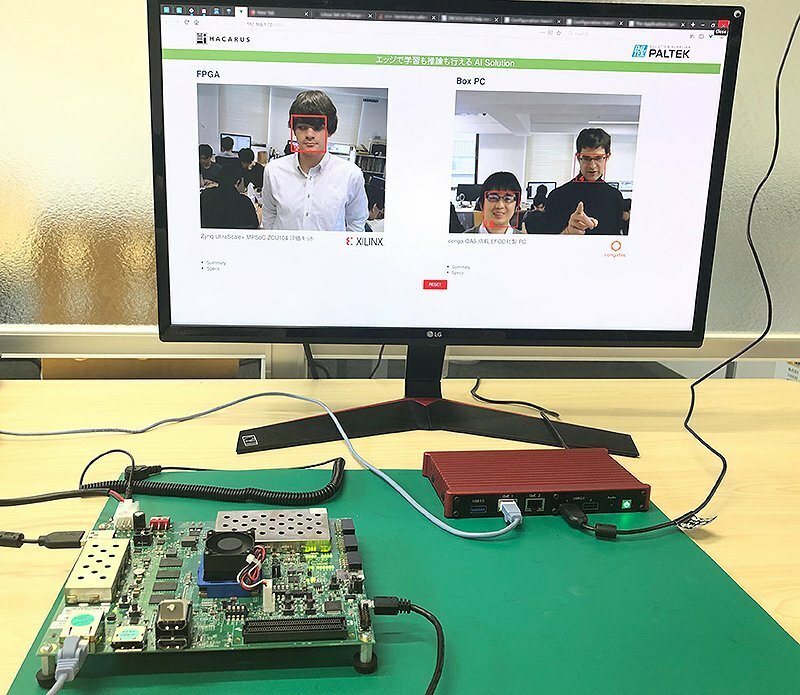 At PALTEK’s AI/Artificial Intelligence EXPO booth, Zynq Inc’s System on Chip (SoC) Zynq UltraScale+™ MPSoC ZCU104 and congatec Inc’s Box PC (Headquarter: Germany, manufactured in Taiwan’s EFCO Inc.) users of HACARUS-X Edge will be utilized in ranking during the demo exhibition.